The poultry industry in Alabama is comprised primarily of broiler production. Hence, broiler litter is the number one poultry waste generated in the state. With escalating fertilizer prices, farmers are developing a renewed interest in litter for its nutrient value. Litter is considered a soil builder because it helps to improve soil organic matter content of highly weathered soils. It also improves soil microbial activity and helps to increase overall soil health. However, the nutrient content of litter can be extremely variable. What Is Poultry Waste Made Up Of? Poultry litter coming from broiler houses is typically comprised of chicken feces and urine mixed with bedding materials (figure 1). Some common bedding materials used in broiler houses are sawdust, pine shavings, and peanut hulls. The litter may also contain feathers and spilled feed but usually in very small amounts. The poultry waste coming from layer hen houses consists of chicken feces and urine. Figure 1. Broiler litter inside a poultry mega-house. Figure 1. Caked litter stored in a dry-stack barn. 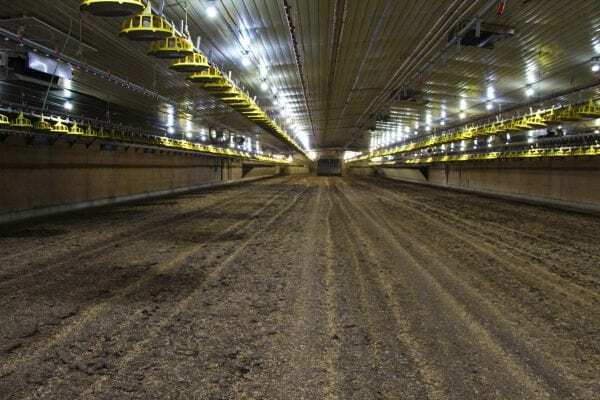 What Nutrients Are Typically Present in Broiler Litter? Broiler litter contains 11 essential plant nutrients (table 1). The amount of nutrients provided depends on the nutrient content of the litter and the amount applied. The Auburn University Soil Testing Laboratory can provide a detailed analysis of the nutrient content of poultry litter. It is critical that a representative sample be collected in order to receive the most accurate results. 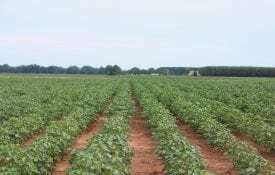 Contact your county Extension office for more information or the Auburn University Soil, Forage and Water Testing Laboratory. What Causes Variations in Broiler Litter Nutrient Composition? Age of litter/length of storage. 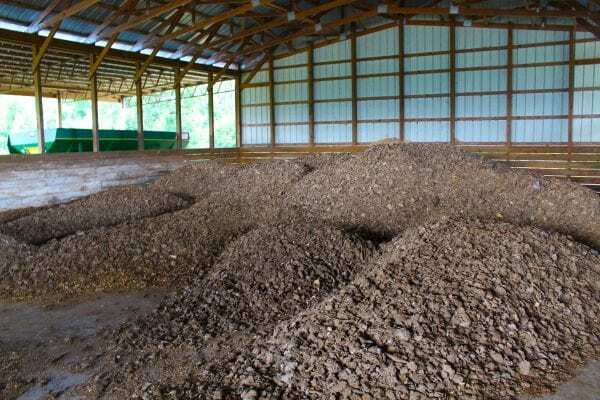 Nitrogen and other nutrient values are lost when poultry litter sits in a storage barn for a long period of time, such as during a disease breakout season. Number of flocks between cleanouts. Poultry litter from a house cleaned after two flocks will have fewer nutrients compared to a house cleaned after nine flocks (figure 2a). 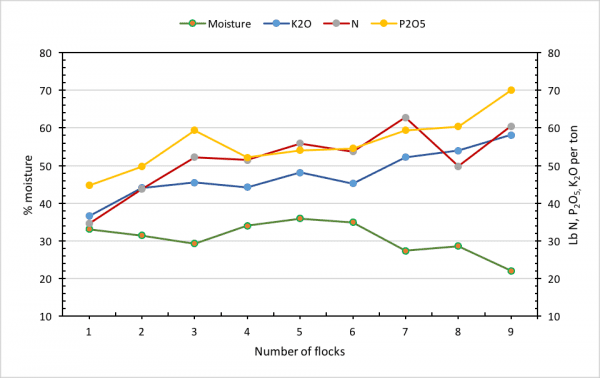 The nitrogen content generally increases and peaks after five flocks (VanDevender et al., 2000). The phosphorus content increases with the number of flocks since phosphorus excreted by birds remains in the litter; unlike nitrogen, it does not get lost via gaseous pathways (figure 2b). 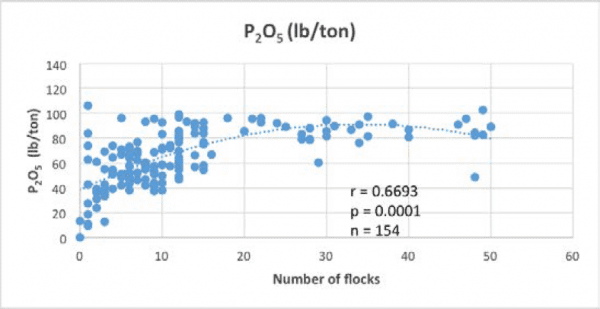 The potassium content also increases with an increase in the number of flocks (figure 2a). Amount and type of bedding material. Litter with larger wood shavings will have less nutrient content per unit weight compared to finer shavings. Similarly, if large quantities of peanut hulls are used as a bedding material and houses are cleaned out in shorter time periods (e.g., between two flocks or emergency cleaning of a fresh batch due to a disease breakout), the nutrient content per unit weight will be less. Moisture content. The moisture content of litter can change the nutrient content per unit weight. The nutrient content of litter decreases as its moisture percentage increases. 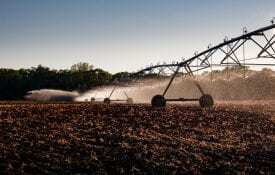 Similarly, as the litter dries out or loses moisture, its nutrient content increases. For example, 1 ton of litter at 25 percent moisture will deliver fewer nutrients than 1 ton of the same litter at 15 percent moisture. Figure 3 shows the relationship between nutrient concentrations at different litter moisture percentages. Assuming 1 ton of dry litter (moisture percent close to zero) contains 60 pounds of P2O5 , the same amount of litter will contain 54 pounds P2O5 at 10 percent moisture and 48 pounds P2O5 at 20 percent moisture. Litter pH. Litter pH is an important factor that drives ammonia volatilization. If litter pH is greater than 8, the nitrogen value of litter decreases, since a larger proportion of ammonium-N exists as ammonia gas and gets volatilized during or after surface application to the field. Incorporation of litter into soil immediately after application generally reduces ammonia volatilization by greater than 90 percent. Other factors. The nutrient content of litter may also vary from one poultry operation to another. 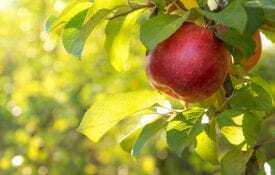 The variation may come from the number of birds per house, the feed ration, the type of housing systems (older houses versus new houses), and whether bedding was pulverized, windrowed, or de-caked between flocks. The nutrient content of poultry litter is variable and should be sampled regularly and analyzed to determine the exact nutrient concentration before application to fields. Litter testing ensures the most effective use of nutrients in litter that also protects the environment. Regular analysis of litter is an important part of sound nutrient management and an overall good farm practice. Figure 2a. Nutrient content of nine flocks of 6-week birds grown on the same litter. Remember, fertilizer recommendations or grades are given in P2O5 (Adapted from Sharpley et al., 2009). Download a PDF of Nutrient Content and Composition of Poultry Litter, ANR-2522.